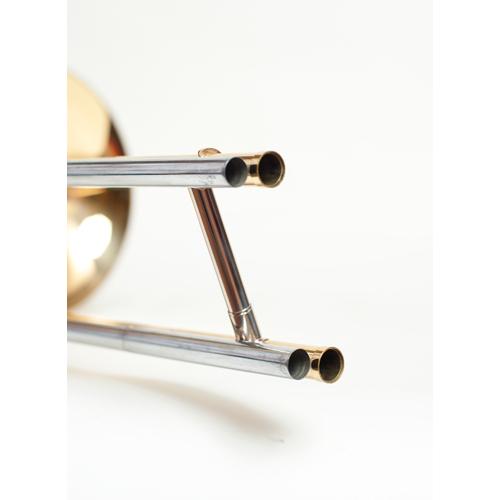 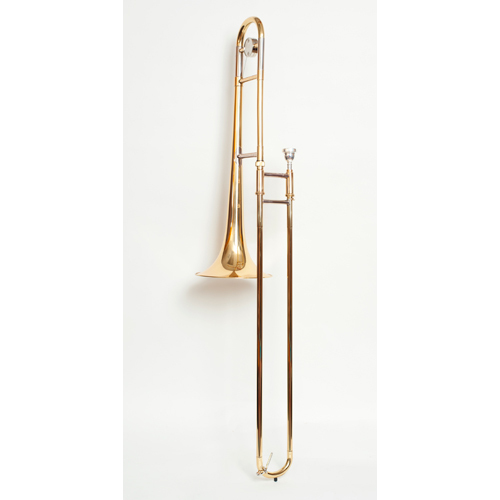 The Tempest Bb Tenor Trombone is an ideal instrument for the musician looking for a multipurpose large bore trombone. 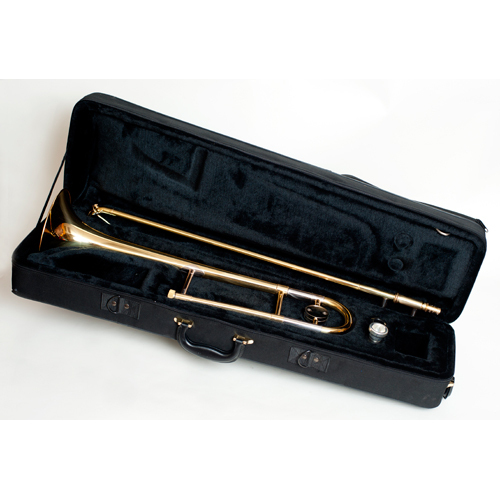 The Tempest Bb Tenor Trombone is an ideal instrument for the musician looking for a multipurpose trombone. 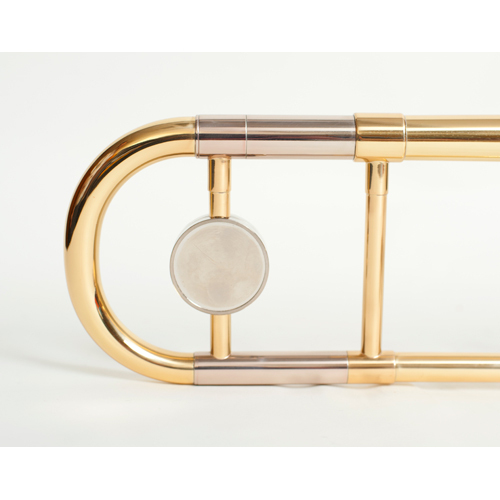 The quality of this versatile instrument makes it comfortable in large ensemble, chamber or solo situations. 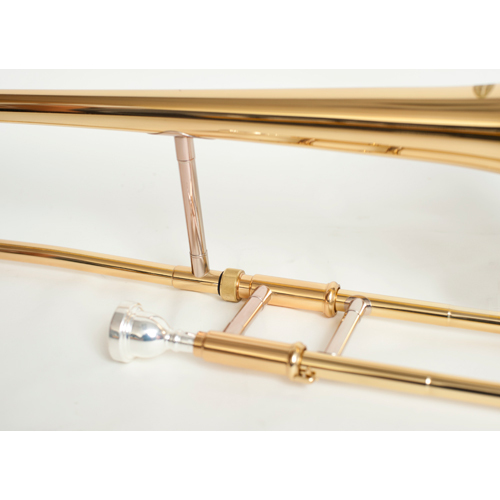 The Tempest Model is an open wrap trombone featuring Dual Bore Design (.510/.525”) and 8.5-inch one-piece hand-hammered bell, for increased resonance. 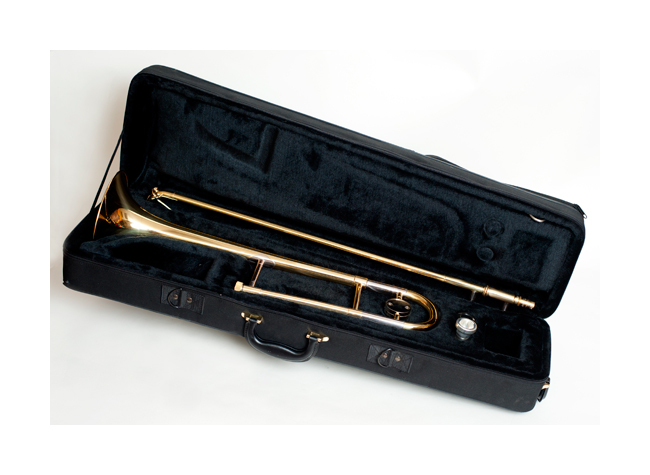 The trombone comes with a yellow brass bell with a standard slide, yellow brass bell with standard weight slide. 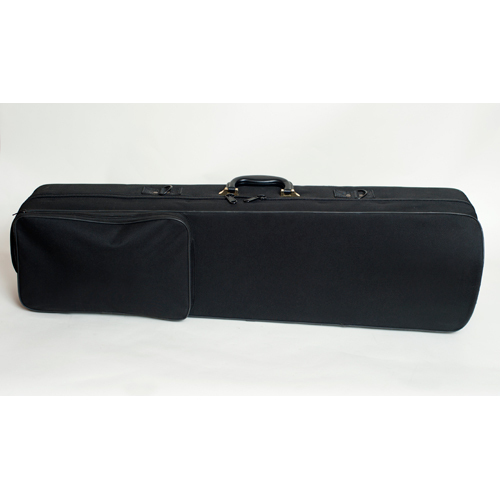 This handmade instrument comes with our 5-year warranty, custom case and mouthpiece.